Offer not valid in Puerto Rico. Lease financing available on new 2019 BMW X2 xDrive28i models from participating BMW Centers through BMW Financial Services through April 30, 2019, to eligible, qualified customers with excellent credit history who meet BMW Financial Services’ credit requirements. Monthly lease payments of $399 per month for 36 months is based on an adjusted capitalized cost of $35,453 (MSRP of $42,295, including destination and handling fee of $995, less $3,000 customer down, $0 security deposit and suggested dealer contribution of $1,342 and $1,750 Lease Credit, $750 Loyalty/ Conquest Certificate). Actual MSRP may vary. Dealer contribution may vary and could affect your actual lease payment. Cash due at signing includes $3,000 down payment, $399 first month’s payment, $925 acquisition fee and $0 security deposit. Lessee responsible for insurance during the lease term, excess wear and tear as defined in the lease contract, $0.25/mile over 30,000 miles and a disposition fee of $350 at lease end. Not all customers will qualify for security deposit waiver. Tax, title, license, registration and dealer fees are additional fees due at signing. Advertised payment does not include applicable taxes. Purchase option at lease end, excluding tax, title and government fees, is $24,954. Offer valid through April 30, 2019 and may be combined with other offers unless otherwise stated. Models pictured may be shown with metallic paint and/or additional accessories. Visit your authorized BMW Center for important details. ©2019 BMW of North America, LLC. The BMW name, model names and logo are registered trademarks. Sunroof, Heated Seats, Navigation, iPod/MP3 Input, CD Player, Back-Up Camera. xDrive28i trim. FUEL EFFICIENT 31 MPG Hwy/21 MPG City! SEE MORE! KEY FEATURES INCLUDE Navigation, All Wheel Drive, Power Liftgate, Back-Up Camera, Turbocharged, iPod/MP3 Input, CD Player, Onboard Communications System, Aluminum Wheels, Dual Zone A/C, Smart Device Integration. BMW xDrive28i with Alpine White exterior and Black SensaTec interior features a 4 Cylinder Engine with 228 HP at 5000 RPM*. OPTION PACKAGES CONVENIENCE PACKAGE Auto-Dimming Rearview Mirror, Universal Garage-Door Opener, Auto-Dimming Interior & Exterior Mirrors, Power-Folding Mirrors, Panoramic Moonroof, SiriusXM Satellite Radio, 1 year All Access subscription, Comfort Access Keyless Entry, Lumbar Support, HEATED FRONT SEATS & STEERING WHEEL Heated Front Seats, Heated Steering Wheel, TRANSMISSION: STEPTRONIC AUTOMATIC sport and manual shift modes and Adaptive Transmission Control (ATC) (STD). Rear Spoiler, MP3 Player, Privacy Glass, Child Safety Locks, Steering Wheel Controls. Horsepower calculations based on trim engine configuration. Fuel economy calculations based on original manufacturer data for trim engine configuration. Please confirm the accuracy of the included equipment by calling us prior to purchase. Sunroof, Heated Seats, NAV, CD Player. Alpine White exterior and Black SensaTec interior, xDrive28i trim. EPA 31 MPG Hwy/21 MPG City! SEE MORE! KEY FEATURES INCLUDE Navigation, All Wheel Drive, Power Liftgate, Back-Up Camera, Turbocharged, iPod/MP3 Input, CD Player, Onboard Communications System, Aluminum Wheels, Dual Zone A/C, Smart Device Integration. BMW xDrive28i with Alpine White exterior and Black SensaTec interior features a 4 Cylinder Engine with 228 HP at 5000 RPM*. OPTION PACKAGES CONVENIENCE PACKAGE Auto-Dimming Rearview Mirror, Universal Garage-Door Opener, Auto-Dimming Interior & Exterior Mirrors, Power-Folding Mirrors, Panoramic Moonroof, SiriusXM Satellite Radio, 1 year All Access subscription, Comfort Access Keyless Entry, Lumbar Support, HEATED FRONT SEATS & STEERING WHEEL Heated Front Seats, Heated Steering Wheel, TRANSMISSION: STEPTRONIC AUTOMATIC sport and manual shift modes and Adaptive Transmission Control (ATC) (STD). Rear Spoiler, MP3 Player, Privacy Glass, Child Safety Locks, Steering Wheel Controls. Horsepower calculations based on trim engine configuration. Fuel economy calculations based on original manufacturer data for trim engine configuration. Please confirm the accuracy of the included equipment by calling us prior to purchase. Heated Seats, Sunroof, Navigation, Back-Up Camera, CD Player. xDrive28i trim, Jet Black exterior and Sensatec Oyster/Black interior. SEE MORE! KEY FEATURES INCLUDE Navigation, All Wheel Drive, Power Liftgate, Back-Up Camera, Turbocharged, iPod/MP3 Input, CD Player, Onboard Communications System, Aluminum Wheels, Dual Zone A/C, Smart Device Integration BMW xDrive28i with Jet Black exterior and Sensatec Oyster/Black interior features a 4 Cylinder Engine with 228 HP at 5000 RPM*. OPTION PACKAGES CONVENIENCE PACKAGE Auto-Dimming Rearview Mirror, Universal Garage-Door Opener, Auto-Dimming Interior & Exterior Mirrors, Power-Folding Mirrors, Panoramic Moonroof, SiriusXM Satellite Radio, 1 year All Access subscription, Comfort Access Keyless Entry, Lumbar Support, HEATED FRONT SEATS & STEERING WHEEL Heated Front Seats, Heated Steering Wheel, FINE-WOOD 'FINELINE' TRIM W/PEARL CHROME ACCENT, TRANSMISSION: STEPTRONIC AUTOMATIC sport and manual shift modes and Adaptive Transmission Control (ATC) (STD). Rear Spoiler, MP3 Player, Privacy Glass, Steering Wheel Controls, Child Safety Locks. Horsepower calculations based on trim engine configuration. Fuel economy calculations based on original manufacturer data for trim engine configuration. Please confirm the accuracy of the included equipment by calling us prior to purchase. NAV, Sunroof, Heated Seats. Jet Black exterior and Sensatec Oyster/Black interior, xDrive28i trim. EPA 31 MPG Hwy/21 MPG City! READ MORE! KEY FEATURES INCLUDE Navigation, All Wheel Drive, Power Liftgate, Back-Up Camera, Turbocharged, iPod/MP3 Input, CD Player, Onboard Communications System, Dual Zone A/C, Smart Device Integration. BMW xDrive28i with Jet Black exterior and Sensatec Oyster/Black interior features a 4 Cylinder Engine with 228 HP at 5000 RPM*. OPTION PACKAGES CONVENIENCE PACKAGE Auto-Dimming Rearview Mirror, Universal Garage-Door Opener, Auto-Dimming Interior & Exterior Mirrors, Power-Folding Mirrors, Panoramic Moonroof, SiriusXM Satellite Radio, 1 year All Access subscription, Comfort Access Keyless Entry, Lumbar Support, WHEELS: 19 X 8.0 Y-SPOKE (STYLE 511) Tires: 225/45R19, HEATED FRONT SEATS & STEERING WHEEL Heated Front Seats, Heated Steering Wheel, TRANSMISSION: STEPTRONIC AUTOMATIC sport and manual shift modes and Adaptive Transmission Control (ATC) (STD). Rear Spoiler, MP3 Player, Privacy Glass, Child Safety Locks, Steering Wheel Controls. Horsepower calculations based on trim engine configuration. Fuel economy calculations based on original manufacturer data for trim engine configuration. Please confirm the accuracy of the included equipment by calling us prior to purchase. Sunroof, Heated Seats, NAV. EPA 31 MPG Hwy/21 MPG City! Galvanic Gold Metallic exterior and Black SensaTec interior, xDrive28i trim SEE MORE! KEY FEATURES INCLUDE Navigation, All Wheel Drive, Power Liftgate, Back-Up Camera, Turbocharged, iPod/MP3 Input, CD Player, Onboard Communications System, Aluminum Wheels, Dual Zone A/C, Smart Device Integration. BMW xDrive28i with Galvanic Gold Metallic exterior and Black SensaTec interior features a 4 Cylinder Engine with 228 HP at 5000 RPM*. OPTION PACKAGES CONVENIENCE PACKAGE Auto-Dimming Rearview Mirror, Universal Garage-Door Opener, Auto-Dimming Interior & Exterior Mirrors, Power-Folding Mirrors, Panoramic Moonroof, SiriusXM Satellite Radio, 1 year All Access subscription, Comfort Access Keyless Entry, Lumbar Support, HEATED FRONT SEATS & STEERING WHEEL Heated Front Seats, Heated Steering Wheel, PARKING ASSISTANT, TRANSMISSION: STEPTRONIC AUTOMATIC sport and manual shift modes and Adaptive Transmission Control (ATC) (STD). Rear Spoiler, MP3 Player, Privacy Glass, Child Safety Locks, Steering Wheel Controls. Horsepower calculations based on trim engine configuration. Fuel economy calculations based on original manufacturer data for trim engine configuration. Please confirm the accuracy of the included equipment by calling us prior to purchase. Navigation, Heated Seats, Sunroof, Back-Up Camera. xDrive28i trim, Mineral Grey Metallic exterior and Sensatec Oyster/Black interior. CLICK ME! KEY FEATURES INCLUDE Navigation, All Wheel Drive, Power Liftgate, Back-Up Camera, Turbocharged, iPod/MP3 Input, CD Player, Onboard Communications System, Aluminum Wheels, Dual Zone A/C, Smart Device Integration BMW xDrive28i with Mineral Grey Metallic exterior and Sensatec Oyster/Black interior features a 4 Cylinder Engine with 228 HP at 5000 RPM*. OPTION PACKAGES CONVENIENCE PACKAGE Auto-Dimming Rearview Mirror, Universal Garage-Door Opener, Auto-Dimming Interior & Exterior Mirrors, Power-Folding Mirrors, Panoramic Moonroof, SiriusXM Satellite Radio, 1 year All Access subscription, Comfort Access Keyless Entry, Lumbar Support, HEATED FRONT SEATS & STEERING WHEEL Heated Front Seats, Heated Steering Wheel, WIRELESS CHARGING WiFi Hotspot, TRANSMISSION: STEPTRONIC AUTOMATIC sport and manual shift modes and Adaptive Transmission Control (ATC) (STD). Rear Spoiler, MP3 Player, Privacy Glass, Child Safety Locks, Steering Wheel Controls. Horsepower calculations based on trim engine configuration. Fuel economy calculations based on original manufacturer data for trim engine configuration. Please confirm the accuracy of the included equipment by calling us prior to purchase. Heated Seats, Nav System, Moonroof, Back-Up Camera. Mineral Grey Metallic exterior and Black SensaTec interior, xDrive28i trim. READ MORE! KEY FEATURES INCLUDE Navigation, All Wheel Drive, Power Liftgate, Back-Up Camera, Turbocharged, iPod/MP3 Input, CD Player, Onboard Communications System, Aluminum Wheels, Dual Zone A/C, Smart Device Integration. BMW xDrive28i with Mineral Grey Metallic exterior and Black SensaTec interior features a 4 Cylinder Engine with 228 HP at 5000 RPM*. OPTION PACKAGES CONVENIENCE PACKAGE Auto-Dimming Rearview Mirror, Universal Garage-Door Opener, Auto-Dimming Interior & Exterior Mirrors, Power-Folding Mirrors, Panoramic Moonroof, SiriusXM Satellite Radio, 1 year All Access subscription, Comfort Access Keyless Entry, Lumbar Support, HEATED FRONT SEATS & STEERING WHEEL Heated Front Seats, Heated Steering Wheel, WIRELESS CHARGING WiFi Hotspot, TRANSMISSION: STEPTRONIC AUTOMATIC sport and manual shift modes and Adaptive Transmission Control (ATC) (STD). Rear Spoiler, MP3 Player, Privacy Glass, Child Safety Locks, Steering Wheel Controls. Horsepower calculations based on trim engine configuration. Fuel economy calculations based on original manufacturer data for trim engine configuration. Please confirm the accuracy of the included equipment by calling us prior to purchase. Heated Seats, Navigation, Sunroof, iPod/MP3 Input, CD Player, Back-Up Camera. EPA 31 MPG Hwy/21 MPG City! xDrive28i trim SEE MORE! KEY FEATURES INCLUDE Navigation, All Wheel Drive, Power Liftgate, Back-Up Camera, Turbocharged, iPod/MP3 Input, CD Player, Onboard Communications System, Dual Zone A/C, Smart Device Integration BMW xDrive28i with Mineral Grey Metallic exterior and Black SensaTec interior features a 4 Cylinder Engine with 228 HP at 5000 RPM*. OPTION PACKAGES CONVENIENCE PACKAGE Auto-Dimming Rearview Mirror, Universal Garage-Door Opener, Auto-Dimming Interior & Exterior Mirrors, Power-Folding Mirrors, Panoramic Moonroof, SiriusXM Satellite Radio, 1 year All Access subscription, Comfort Access Keyless Entry, Lumbar Support, WHEELS: 19 X 8.0 Y-SPOKE (STYLE 511) Tires: 225/45R19, HEATED FRONT SEATS & STEERING WHEEL Heated Front Seats, Heated Steering Wheel, TRANSMISSION: STEPTRONIC AUTOMATIC sport and manual shift modes and Adaptive Transmission Control (ATC) (STD). Rear Spoiler, MP3 Player, Privacy Glass, Steering Wheel Controls, Child Safety Locks. Horsepower calculations based on trim engine configuration. Fuel economy calculations based on original manufacturer data for trim engine configuration. Please confirm the accuracy of the included equipment by calling us prior to purchase. Nav System, Moonroof, Heated Seats. EPA 31 MPG Hwy/21 MPG City! Glacier Silver Metallic exterior and Black SensaTec interior CLICK NOW! KEY FEATURES INCLUDE Navigation, All Wheel Drive, Power Liftgate, Back-Up Camera, Turbocharged, iPod/MP3 Input, CD Player, Onboard Communications System, Dual Zone A/C, Smart Device Integration. BMW xDrive28i with Glacier Silver Metallic exterior and Black SensaTec interior features a 4 Cylinder Engine with 228 HP at 5000 RPM*. OPTION PACKAGES CONVENIENCE PACKAGE Auto-Dimming Rearview Mirror, Universal Garage-Door Opener, Auto-Dimming Interior & Exterior Mirrors, Power-Folding Mirrors, Panoramic Moonroof, SiriusXM Satellite Radio, 1 year All Access subscription, Comfort Access Keyless Entry, Lumbar Support, WHEELS: 19 X 8.0 Y-SPOKE (STYLE 511) Tires: 225/45R19, HEATED FRONT SEATS & STEERING WHEEL Heated Front Seats, Heated Steering Wheel, TRANSMISSION: STEPTRONIC AUTOMATIC sport and manual shift modes and Adaptive Transmission Control (ATC) (STD). Rear Spoiler, MP3 Player, Privacy Glass, Child Safety Locks, Steering Wheel Controls. Horsepower calculations based on trim engine configuration. Fuel economy calculations based on original manufacturer data for trim engine configuration. Please confirm the accuracy of the included equipment by calling us prior to purchase. Nav System, Moonroof, Heated Seats. Mediterranean Blue Metallic exterior and Sensatec Oyster/Black interior, xDrive28i trim. READ MORE! KEY FEATURES INCLUDE Navigation, All Wheel Drive, Power Liftgate, Back-Up Camera, Turbocharged, iPod/MP3 Input, CD Player, Onboard Communications System, Dual Zone A/C, Smart Device Integration BMW xDrive28i with Mediterranean Blue Metallic exterior and Sensatec Oyster/Black interior features a 4 Cylinder Engine with 228 HP at 5000 RPM*. OPTION PACKAGES CONVENIENCE PACKAGE Auto-Dimming Rearview Mirror, Universal Garage-Door Opener, Auto-Dimming Interior & Exterior Mirrors, Power-Folding Mirrors, Panoramic Moonroof, SiriusXM Satellite Radio, 1 year All Access subscription, Comfort Access Keyless Entry, Lumbar Support, WHEELS: 19 X 8.0 Y-SPOKE (STYLE 511) Tires: 225/45R19, HEATED FRONT SEATS & STEERING WHEEL Heated Front Seats, Heated Steering Wheel, FINE-WOOD OAK GRAIN TRIM W/PEARL CHROME ACCENT, TRANSMISSION: STEPTRONIC AUTOMATIC sport and manual shift modes and Adaptive Transmission Control (ATC) (STD). Rear Spoiler, MP3 Player, Privacy Glass, Steering Wheel Controls, Child Safety Locks. Horsepower calculations based on trim engine configuration. Fuel economy calculations based on original manufacturer data for trim engine configuration. Please confirm the accuracy of the included equipment by calling us prior to purchase. Heated Seats, Sunroof, Navigation, Back-Up Camera, iPod/MP3 Input, CD Player. xDrive28i trim. EPA 31 MPG Hwy/21 MPG City! SEE MORE! KEY FEATURES INCLUDE Navigation, All Wheel Drive, Power Liftgate, Back-Up Camera, Turbocharged, iPod/MP3 Input, CD Player, Onboard Communications System, Aluminum Wheels, Dual Zone A/C, Smart Device Integration. BMW xDrive28i with Alpine White exterior and Magma Red Dakota Leather interior features a 4 Cylinder Engine with 228 HP at 5000 RPM*. OPTION PACKAGES CONVENIENCE PACKAGE Auto-Dimming Rearview Mirror, Universal Garage-Door Opener, Auto-Dimming Interior & Exterior Mirrors, Power-Folding Mirrors, Panoramic Moonroof, SiriusXM Satellite Radio, 1 year All Access subscription, Comfort Access Keyless Entry, Lumbar Support, HEATED FRONT SEATS & STEERING WHEEL Heated Front Seats, Heated Steering Wheel, FINE-WOOD 'FINELINE' TRIM W/PEARL CHROME ACCENT, TRANSMISSION: STEPTRONIC AUTOMATIC sport and manual shift modes and Adaptive Transmission Control (ATC) (STD). Rear Spoiler, MP3 Player, Privacy Glass, Steering Wheel Controls, Child Safety Locks. Horsepower calculations based on trim engine configuration. Fuel economy calculations based on original manufacturer data for trim engine configuration. Please confirm the accuracy of the included equipment by calling us prior to purchase. Navigation, Sunroof, Heated Seats, iPod/MP3 Input, Back-Up Camera, CD Player. EPA 31 MPG Hwy/21 MPG City! xDrive28i trim SEE MORE! KEY FEATURES INCLUDE All Wheel Drive, Power Liftgate, Back-Up Camera, Turbocharged, iPod/MP3 Input, CD Player, Onboard Communications System, Aluminum Wheels, Dual Zone A/C, Smart Device Integration BMW xDrive28i with Alpine White exterior and Magma Red Dakota Leather interior features a 4 Cylinder Engine with 228 HP at 5000 RPM*. OPTION PACKAGES CONVENIENCE PACKAGE Auto-Dimming Rearview Mirror, Universal Garage-Door Opener, Auto-Dimming Interior & Exterior Mirrors, Power-Folding Mirrors, Panoramic Moonroof, SiriusXM Satellite Radio, 1 year All Access subscription, Comfort Access Keyless Entry, Lumbar Support, PREMIUM PACKAGE Heated Front Seats, Navigation w/Touchpad Controller, Head-Up Display, Heated Steering Wheel, WIRELESS CHARGING WiFi Hotspot, FINE-WOOD 'FINELINE' TRIM W/PEARL CHROME ACCENT, TRANSMISSION: STEPTRONIC AUTOMATIC sport and manual shift modes and Adaptive Transmission Control (ATC) (STD). Rear Spoiler, MP3 Player, Privacy Glass, Child Safety Locks, Steering Wheel Controls. Horsepower calculations based on trim engine configuration. Fuel economy calculations based on original manufacturer data for trim engine configuration. Please confirm the accuracy of the included equipment by calling us prior to purchase. Heated Seats, Navigation. M35i trim, Alpine White exterior and Black SensaTec interior. FUEL EFFICIENT 29 MPG Hwy/23 MPG City! READ MORE! KEY FEATURES INCLUDE Navigation, All Wheel Drive, Power Liftgate, Back-Up Camera, Turbocharged, Satellite Radio, iPod/MP3 Input, CD Player, Onboard Communications System, Aluminum Wheels, Keyless Start, Dual Zone A/C, Smart Device Integration. BMW M35i with Alpine White exterior and Black SensaTec interior features a 4 Cylinder Engine with 302 HP at 5000 RPM*. OPTION PACKAGES HEATED FRONT SEATS & STEERING WHEEL Heated Front Seats, Heated Steering Wheel. Rear Spoiler, MP3 Player, Keyless Entry, Remote Trunk Release, Privacy Glass. Horsepower calculations based on trim engine configuration. Fuel economy calculations based on original manufacturer data for trim engine configuration. Please confirm the accuracy of the included equipment by calling us prior to purchase. Sunroof, Heated Seats, NAV, Satellite Radio, iPod/MP3 Input. M35i trim, Black Sapphire Metallic exterior and Black SensaTec interior READ MORE! KEY FEATURES INCLUDE Navigation, All Wheel Drive, Power Liftgate, Back-Up Camera, Turbocharged, Satellite Radio, iPod/MP3 Input, CD Player, Onboard Communications System, Aluminum Wheels, Keyless Start, Dual Zone A/C, Smart Device Integration. BMW M35i with Black Sapphire Metallic exterior and Black SensaTec interior features a 4 Cylinder Engine with 302 HP at 5000 RPM*. OPTION PACKAGES PANORAMIC MOONROOF, HEATED FRONT SEATS & STEERING WHEEL Heated Front Seats, Heated Steering Wheel. Rear Spoiler, MP3 Player, Remote Trunk Release, Privacy Glass, Keyless Entry. Horsepower calculations based on trim engine configuration. Fuel economy calculations based on original manufacturer data for trim engine configuration. Please confirm the accuracy of the included equipment by calling us prior to purchase. Nav System, Moonroof, Heated Seats. EPA 29 MPG Hwy/23 MPG City! M35i trim, Black Sapphire Metallic exterior and Black SensaTec interior SEE MORE! KEY FEATURES INCLUDE Navigation, All Wheel Drive, Power Liftgate, Back-Up Camera, Turbocharged, Satellite Radio, iPod/MP3 Input, CD Player, Onboard Communications System, Aluminum Wheels, Keyless Start, Dual Zone A/C, Smart Device Integration. BMW M35i with Black Sapphire Metallic exterior and Black SensaTec interior features a 4 Cylinder Engine with 302 HP at 5000 RPM*. OPTION PACKAGES PANORAMIC MOONROOF, HEATED FRONT SEATS & STEERING WHEEL Heated Front Seats, Heated Steering Wheel, WIRELESS CHARGING WiFi Hotspot, PARKING ASSISTANT. Rear Spoiler, MP3 Player, Privacy Glass, Keyless Entry, Remote Trunk Release. Horsepower calculations based on trim engine configuration. Fuel economy calculations based on original manufacturer data for trim engine configuration. Please confirm the accuracy of the included equipment by calling us prior to purchase. The mold has been broken and the rules have been changed with First-Ever BMW X2 now at Habberstad BMW of Huntington. This groundbreaking BMW SAV is for those who don’t just defy rules, but change them. Unfollowers take notice, regardless of whether you’re from Huntington, Melville, Commack, Northport or even Manhattan you can take the wheel of this rebellious BMW starting with a test drive at Habberstad BMW of Huntington. The BMW X2 features inverted kidney grilles to create a bold new look–a fresh take on a distinctive BMW icon. Driving the X2 is like no other. Positioned low like a coupe but powered by a 2.0 liter TwinPower Turbo inline 4-cylinder, this energetic SAV can barely contain the power within going from 0-60 mph in a mere 6.3 seconds. With power as crazy as this, drivers can still feel confident that the BMW X2 will provide a smooth, safe, and comfortable drive stemming from driving dynamics controls, dynamic stability control, and front and rear anti-roll bars. Steal the show in the eye catching design of BMW’s newest SAV. Eye-catching alloy wheels draw the attention to where the rubber meets the road while LED headlights with cornering lights illuminate the the road ahead and simultaneously create a distinctive appearance. As you speed away, others will admire the dual 90mm exhaust tips finishing out the sporty nature of the BMW X2. 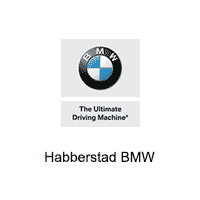 Now with limited time offers available exclusively at Habberstad BMW of Huntington there will be nothing to stop you from owning the luxury vehicle that everyone wants but few dare to obtain. Be sure to visit our showroom soon because with offers as attractive as these, even our always large inventory will not last long. Do not miss your best chance to get into a new BMW X2 at a price you’ve never seen before and may never see again. Regardless of whether you reside in Melville or Huntington, Commack, or Northport, or beyond the immediate surroundings of our Long Island BMW dealership, we’re sure you’ll find it worth the trip to see the 2018 BMW X2 now available at Habberstad BMW of Huntington.